A simple but elegant set of earrings for all occations. 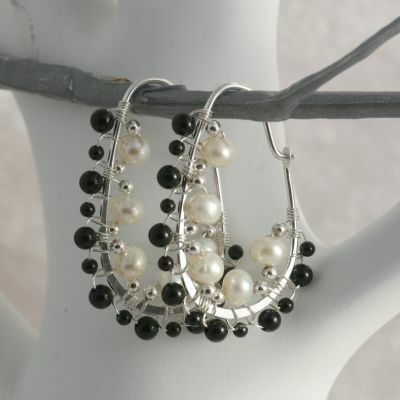 Made from Sterling Silver Wire, Black Onyx and Fresh Water Pearls. Length is 3.5 cm (1.4 inches).